Long ago, there was an island nation in the southern sea that enjoyed a great period of cultural prosperity. Surrounded by natural beauty and gifted with tremendous intellect, the island's residents believed their peaceful lifestyle would go on for all time. But one morning, a fearsome demon broke free and began to drag the island into the depths of the sea. With the end growing near, the king ordered his most loyal retainers to gather as much of the nation's knowledge and as many of the island's treasures as they could, and flee to the northern lands. 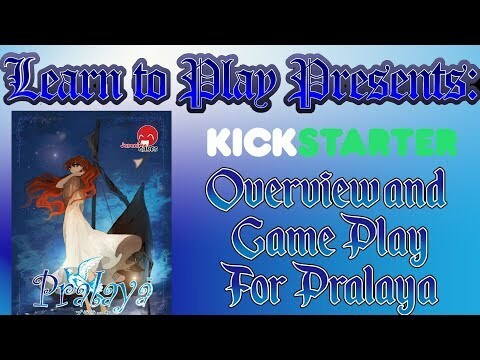 In Pralaya, your goal is to secure island relics and people and evacuate them from the sinking island. The more you evacuate, the higher you score. But don't press your luck too much or you'll risk valuable points for saving yourself. Will you collect the most valuable relics, coins, and buy your safe passage from the island before it sinks into the deep?